Having a plan for the education technology you use in your classroom, school, or district must be the first thing you do when considering technology implementation. You could do worse than designing your technology plan around the educational principles of a 500 year-old saint. Quick background for the Igna-ignorant like I was several months ago (with apologies to my Catholic friends who know more about this than I do). "Ignatius of Loyola was a Spanish knight from a local Basque noble family, hermit, priest since 1537, and theologian, who founded the Society of Jesus (Jesuits) and, on 19 April 1541, became its first Superior General. Ignatius emerged as a religious leader during the Counter-Reformation. Loyola's devotion to the Catholic Church was characterized by absolute obedience to the Pope." - from Wikipedia, "Ignatius of Loyola"
"The Ignatian pedagogical paradigm is a way of learning and a method of teaching taken from the Spiritual Exercises of Ignatius of Loyola. It is based in St. Ignatius Loyola's Spiritual Exercises, and takes a holistic view of the world. The three main elements are Experience, Reflection, and Action. A pre-learning element, Context, and a post-learning element, Evaluation, are also necessary for the method's success, bringing the total to five elements. Ignatian pedagogy uses this dynamic five-step method along with an Ignatian vision of the human and the world to "accompany the learner in their growth and development." The Ignatian pedagogical paradigm is also used in spiritual retreats and learning experiences as an active means of developing and questioning one's own conscience, as well as in making sound and conscientious decisions." from Wikipedia, "Ignatian Pedagogical Paradigm"
Its been my experience teaching in public schools as a Christian that the further I want to make all of my choices in accordance with my mission to Jesus, the more fulfilled I feel, the more I can stand in the conviction of my choices, but also, the less some of my colleagues, students, and parents may understand where I'm coming from. 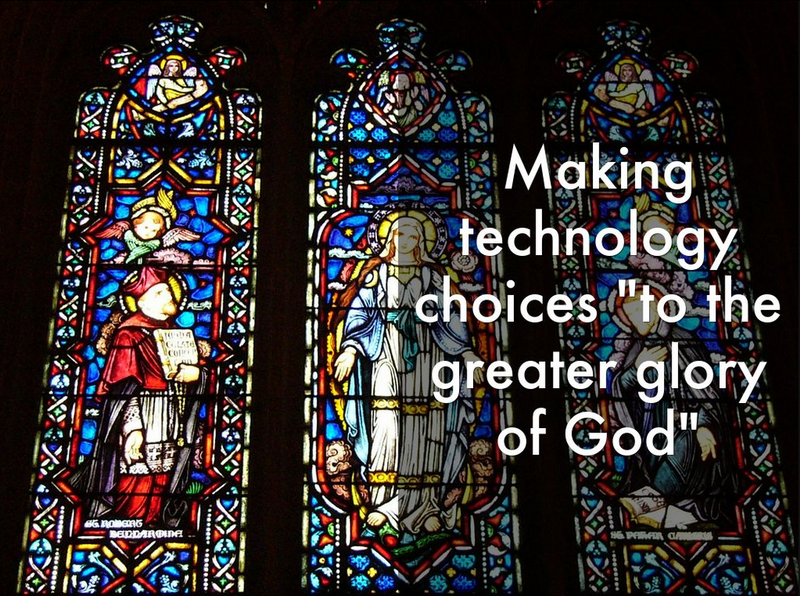 A lot of money gets thrown at technology because it looks good, or because its the next lastest, greatest savior of education, but following Ignatian principles and reflecting on "to the greater Glory of God," we can be more sure of the stewardship and utility of our technology choices. For more reading on the Ignatian Pedagogical Paradigm, this paper from the Jesuits, "Ignatian Pedagogy: A Practical Approach" was very helpful for me. How can education technology affect or serve each of Ignatian elements of education? Thinking about your students contextually should always be a consideration when evaluating a technology tool. Can my students use this? Would my students be willing to try this? When I was anti-flipping the classroom on the basis of home access for some of my students, I was sitting here in context. Ignatius and the Jesuits went against a "monastic" life of seclusion, which made reflection and solitude in the midst of mission of vital importance. We see times in Jesus' ministry where he left the crowds to be alone with the Apostles, and separated even further to be along in prayer. The Jesuits were all about being on mission (some compare them to "Catholic Marines"), so the purpose of any learning experience is to compel the student to want to do something with what they've learned. Action is where you put into practice what convictions you found in reflection. This is an excellent opportunity to use technology to reach out to community leaders, upload a video to launch a viral campaign for a cause, or even use a 3D printer to make a product to meet someone's need. How'd you do? What your action effective? Evaluation is the last element in the Ignatian cycle because it then affects the next lesson's context. 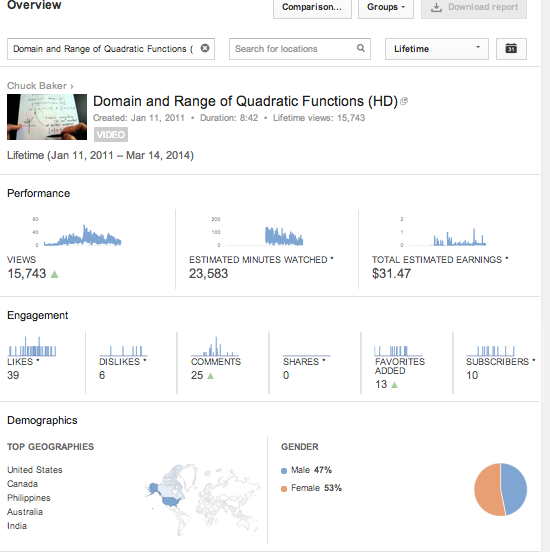 As far as technology goes, here's another chance for students to blog as self-assessment, use adaptive software tools like Study Island, Manga High or Renaissance Learning for testing, send students a Google Form to fill out, or depending on the product they created in action, using site analytics or view counts as a real-life metric to their success. As I mentioned earlier, once I started researching St. Ignatius' educational philosophies and how they fit in with the Jesuit mission for education, I found a lot of clarity in what the Holy Spirit had begun in me several months ago as far as what it means to be a teacher that's a Christian. I have always believed that whatever technology we use in schools should be in service to the learning, but it was harder to go further with that - "and what, exactly, beyond "math," do I want the kids to be learning?" I felt a little embarrassed at "discovering" educational principles that teachers have been using in my own cities for nearly 200 years, but its been a refreshing response for me to the subjective, everyone's-truth-is-good-for-them attitudes that often prevail in education.